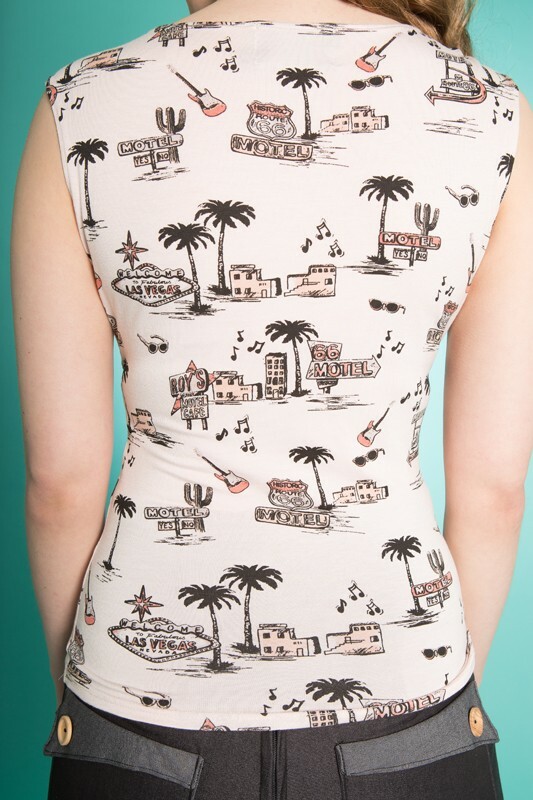 Easy to wear little sun top in peach jersey, printed with imagery from along the Route 66 and Vegas. The top has gathering around the bust and black button and slide buckle details. Top is made from stretchy cotton/spandex jersey.